The Rebels® Brand turf-type tall fescue combines the sensory appeal of rich, green color and fine texture with the resilience and durability that modern lawns demand. 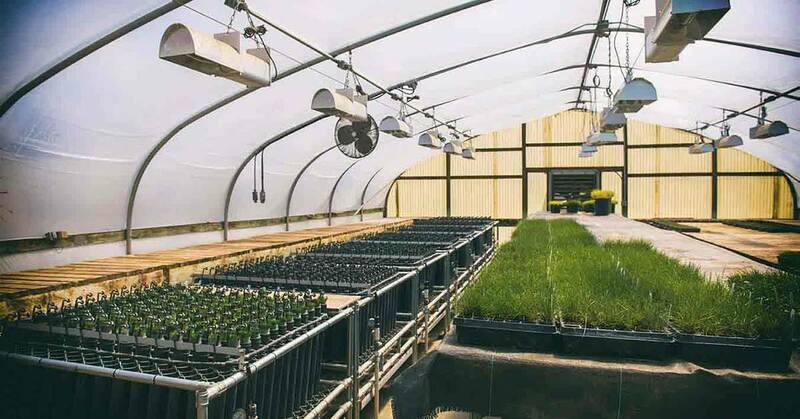 By understanding what makes turf-type tall fesuce a leading choice for high-quality, high-performance turf, you're on your way to a thick, uniform, low-maintenance lawn that's a cut above the rest. Suited to all but the southernmost U.S. High-quality turf-type (TT) tall fescue offers one of the largest growing regions of any common U.S. lawn grass. As with other cool-season grasses, TT tall fescue peaks in growth during cool fall and spring weather, and it thrives across the northern United States. However, improved tolerance for both heat and cold extends this grass's usefulness and growing range. In addition to cool-climate use, TT tall fescues excel in the transition zone where many other lawn grasses struggle. In this difficult grass growing zone — too hot for traditional cool-season grasses and too cold for many warm-season lawn grasses — versatile TT tall fescues deliver. With The Rebels® Brand Tall Fescue Blend, you enjoy durable, fine-textured lawns that stand up to heat and cold and maintain color through the growing season. For the demanding temperatures and conditions in the lower transition zone, spanning parts of the Southeast, Mid-Atlantic and lower Midwest, the tall fescue varieties in The Rebels® Brand Southern Classic Blend rise to the occasion, keeping your lawn healthy, thick and thriving in tough southern summer conditions. Tradition tall fescue grasses have a much broader, coarser blade than turf-type tall fescues. Turf-type tall fescue differs from many traditional lawn grasses in its bunch-forming growth habit. Modern tall fescue turf grasses descend from tough, hardy, agricultural grass introduced to the United States from Europe. Like their pasture-grass ancestor, turf types naturally form clumps and spread by tillers. This growth by vertical shoots instead of horizontal stolons and rhizomes distinguishes tall fescue from most common U.S. lawn grasses. Some early tall fescue types could take on a clumpy, uneven look as lawns matured. 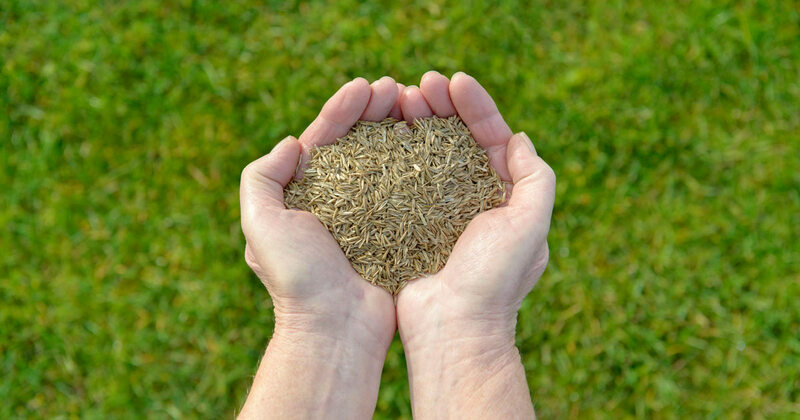 Turf-type tall fescue varieties in The Rebels® Brand seed blends and mixes — developed through years of research and innovation — produce a thick, uniform turf. Bunch-forming growth has some additional advantages. These grasses rarely have problems with thatch, so you skip the maintenance, pests and disease problems that heavy thatch-producing grasses can bring. Boundaries and bed lines are also much easier to maintain with bunch-forming lawn grasses. Your landscape looks cleaner and more finished with less edging work. Tall fescues naturally have deep, extensive root zones that typically reach 2 to 3 feet deep.1 Deeper than any other common cool-season U.S. lawn grass, this naturally extensive root system provides access to water and other resources beyond the reach of grasses with limited root depth and density. This translates to increased tolerance for heat, drought and even poor drainage. The Rebels® Brand Extended Root Seed Varieties grow up to 40 percent more roots at deeper depths than ordinary grass seed. These improved turf-type tall fescue varieties optimize your lawn's drought resistance, reduce supplemental irrigation needs and improve nutrient uptake, leaving your lawn less susceptible to environmental conditions that stress and weaken other grass types. Many widely used lawn grasses, including Kentucky bluegrass and Bermudagrass, struggle without adequate sun. When your lawn is an integral part of a landscape that includes ornamental shrubs and shade trees, grasses with high sun requirements work against curb appeal. High-performance TT tall fescues are among the most shade tolerant of all cool-season grasses, yet they thrive in sunny conditions, too. The Rebels® Brand Shade Mix for tall fescue lawns and The Rebels® Brand Southern Classic Shade Mix solve the problem of lawn areas with receive limited sun. This premium mix combines a blend of adaptable, shade-tolerant TT tall fescue varieties with fine fescue, the only cool-season lawn grass with better shade tolerance. Even in areas receiving less than four hours of direct sun per day, these seed mixes produce attractive, dense, dark green, finely textured lawns. Shaded areas blend visually with the rest of your tall fescue lawn and deliver all the drought, disease and traffic tolerance you expect from The Rebels® Brand. Turf-type tall fescues are often mixed with fine fescues for a finely textured, shade-tolerant lawn. Get the most from your tall fescue lawn in performance and beauty, with proper care and maintenance. By following best practices for tall fescue, you keep your lawn at its peak. Major Lawn Tasks - For cool-season grasses such as tall and fine fescues, plan major lawn tasks for their optimal growth periods in fall and spring. For TT tall fescue, late summer to early fall is the best time to plant seed or do other major projects such as overseeding or aerating. The cool air temperatures combined with warm soil temperatures enhance seed germination, speed establishment and aid quick recovery. Spring is the second best time for these major tasks on your tall fescue lawn. 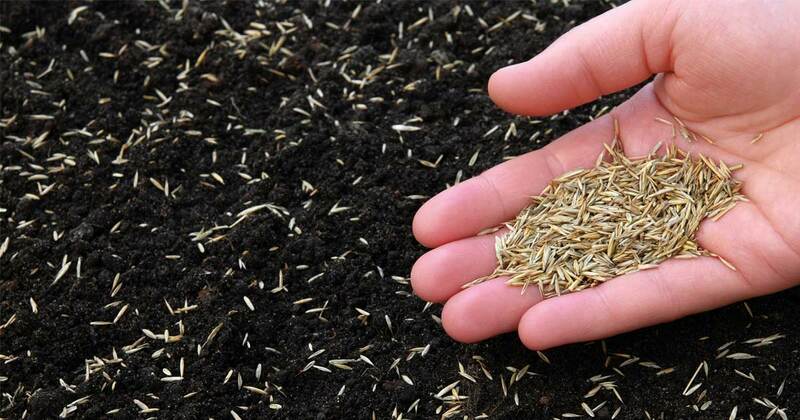 Time tall fescue lawn projects properly, follow best practices for planting seed, and the natural growth cycle works to your advantage. Irrigation - Proper watering is critical to maintaining a healthy, vibrant fescue lawn. Frequent, shallow watering encourages roots to stay close to surface moisture, where they're more vulnerable to heat and drought. Deeper, less frequent watering encourages deeper root growth and strengthens your lawn's resilience to stress. During normal growing conditions, provide 1 inch of water per week. In intense transition zone summers, you may need double that amount. Always adjust your watering regimen based on your local weather, from heavy rainfall to extended drought. Adjustments help ensure your fescue lawn retains healthy color and growth. 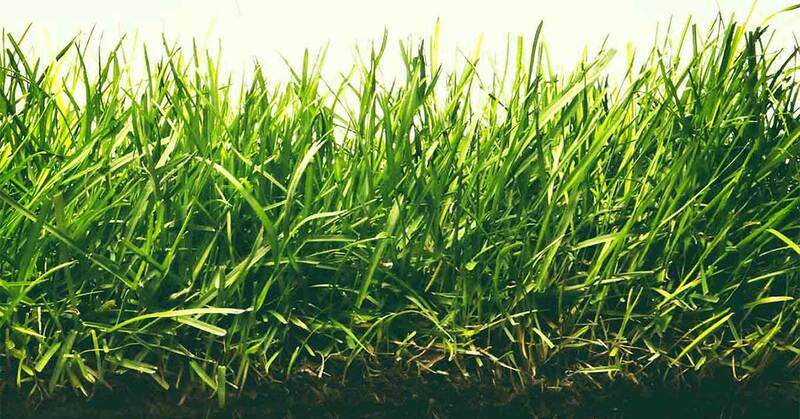 Fertilization - The dense, deep root growth of The Rebels® Brand tall fescue varieties improves your lawn's ability to take up naturally available soil nutrients and those you add through fertilizers. Grass uses fertilizer more efficiently, and you get more value from fertilizer input. Tall fescue adapts well to various soil types and growing conditions, and typically requires less fertilizer than other cool-season grasses in similar soils. Test your soil, maintain soil pH roughly between 5.5 and 7.5, and follow soil test recommendations for fertilization. You'll maximize nutrient availability and efficiency for your tall fescue lawn. Mowing - Improved TT tall fescue varieties in The Rebels® Brand produce a darker, greener, denser lawn than older tall fescue types, such as Kentucky 31. Their lower, more uniform growth simplifies mowing as well. Ideal mowing height for turf-type tall fescues is between 3 and 4 inches. Taller heights during times of heat and drought encourage deeper root growth, help shade soil, reduce weed competition and help grass withstand stress. Maintain grass height so you never remove more than one-third of the blade length in a single mowing. This helps keep your tall fescue lawn at optimal strength and health. With improved turf-type tall fescue grasses, you can enjoy a thick, beautiful, durable lawn that withstands the most challenging conditions. But your lawn is only as good as the seed you grow. The Rebels® Brand is dedicated to providing you with the best in tall fescue seed and growing advice, so that you can grow the best tall fescue lawn possible. 1. Cook, T., “Tall Fescue," Oregon State University Department of Horticulture.